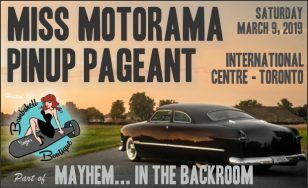 The new Motorama Mayhem… in the Backroom feature will include a Pinup Pageant on Saturday, March 9, 2019 (time TBD). 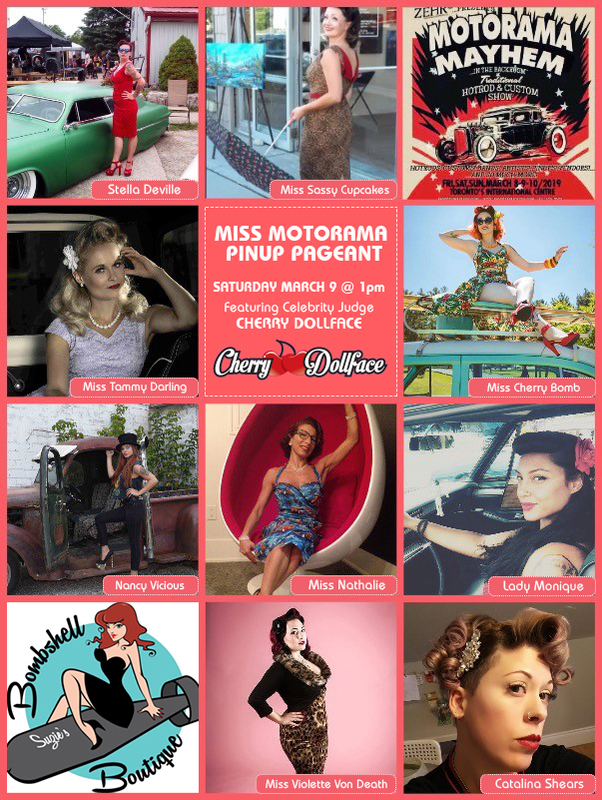 Hosted by Suzie from Suzie’s Bombshell Boutique, and featuring celebrity judge Miss Cherry Dollface, the Miss Motorama Pinup Pageant will celebrate ladies who live and breathe the pinup culture in their everyday lives. In addition to their passion for vintage hair, makeup and fashion, these women also love classic cars and rockabilly culture. $1,000.00 in cash will be awarded at the end of the pageant, with $500 going to the inaugural Miss Motorama. The next top two contestants will receive $300 and $200, respectively. 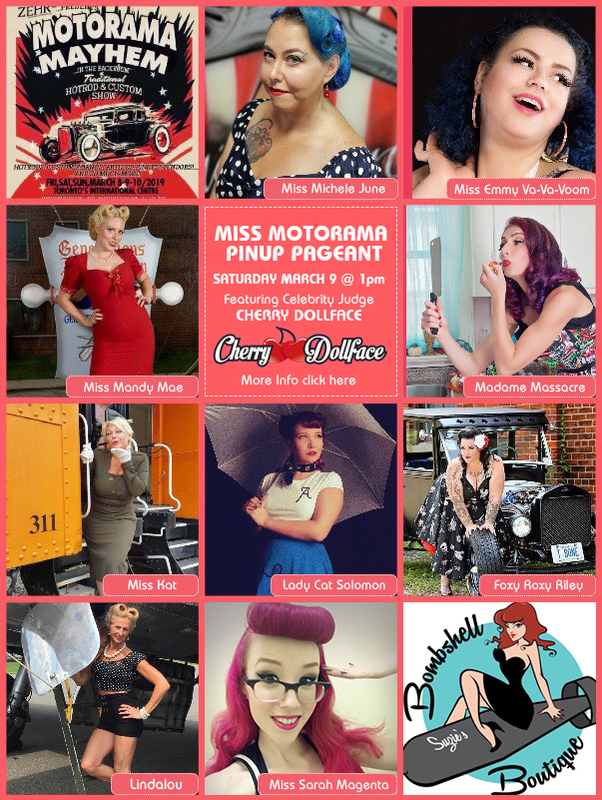 Miss Motorama will also received a hair and makeup session with Cherry Dollface! Contestants are eligible to win several other prizes, courtesy of Suzie’s Bombshell Boutique. Mayhem is part of the 5th Annual Motorama Custom Car & Motorsports Expo. The show is Canada’s largest indoor custom car, hot rod and motorsports show and will take place March 8, 9 & 10 at The International Centre, across from Toronto’s Pearson Airport. Mayhem… in the Backroom will be busy all weekend long with bands, the music of DJ Swankenstein, pinstripers, barbers, tattoo artists and more! Registration for this year’s pageant is now closed. Thank you to all who registered! We’ll see you all Saturday, March 9 for some Mayhem… in the Backroom!